What role does moments play in causing a crane to topple? 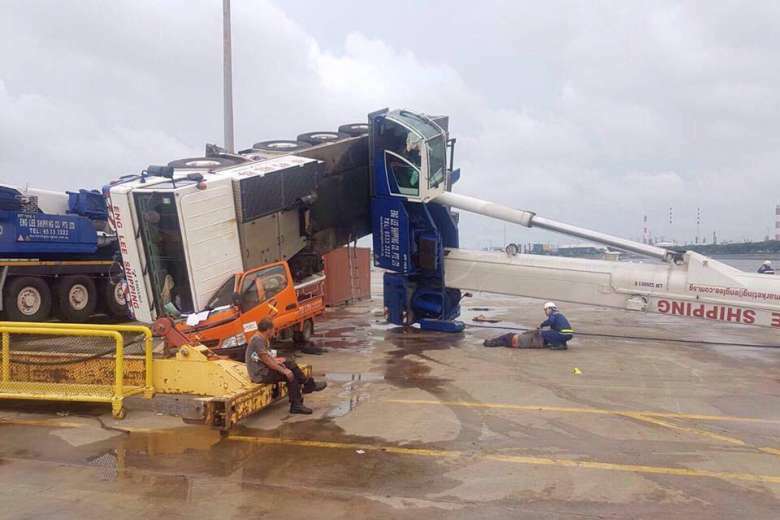 Straits Times reported a crane toppled onto a lorry at Jurong Port in 2016, injuring two people. What weights are responsible for the clockwise and anti-clockwise moments? Is it the weight of the load or the perpendicular distance that the crane operator needs to be mindful of when operating the crane? You will learn more about this under the topic “Turning effects of Forces”. This is covered in Physics tuition for O Levels.